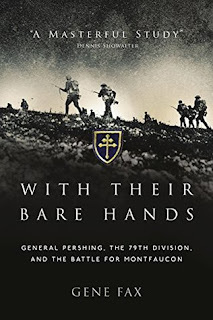 With Their Bare Hands traces the fate of the US 79th Division-men drafted off the streets of Baltimore, Washington, and Philadelphia-from boot camp in Maryland through the final years of World War I, focusing on their most famous engagement: the attack on Montfaucon, the most heavily fortified part of the German Line, during the Meuse-Argonne Offensive in 1918. 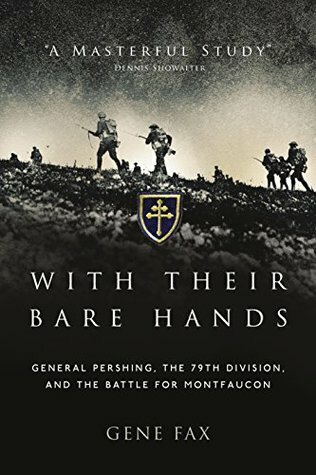 Using the 79th as a window onto the American Army as a whole, Gene Fax examines its mistakes and triumphs, the tactics of its commander General John J. Pershing, and how the lessons it learned during the Great War helped it to fight World War II. Fax makes some startling judgments, on the role of future Army Chief-of-Staff, Colonel George C. Marshall; whether the Montfaucon battle-had it followed the plan-could have shortened the war; and if Pershing was justified in ordering his troops to attack right up to the moment of the Armistice.